Call me a geek, but this rules me so much I want to buy three. One for Madame, one for me, and one to keep in the box. 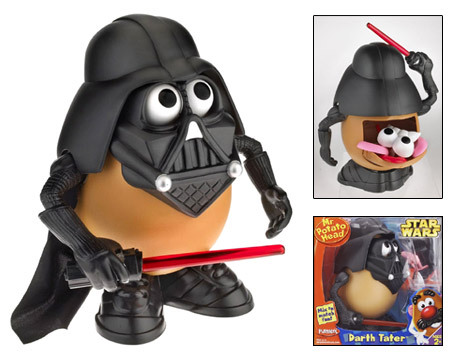 Darth Tater (goddamn that's awesome) link via Boing Boing via Wonderland.